Festoon offers a one stop animation service with talent in script editing, creative direction, music, illustration and animation to communicate your research. 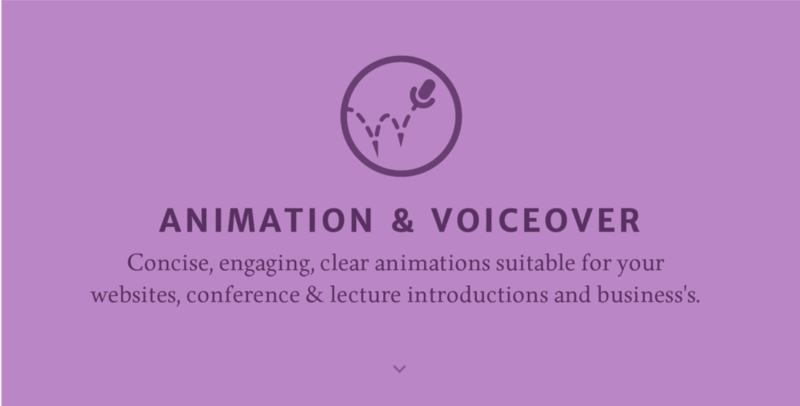 We provide animation, voiceover, and scripting advice on short explainer animations to communicate your project in an engaging and succinct way. Working with the DIMMAND Dyslexia diagnosis project, Festoon produced an animated infographic video to communicate the digital health product. With a history of podcasting, Sam has experience producing and presenting podcasts in the research community, translating a verbal understanding of communicating research into the visual design realm.